Once again, nature has been a source of inspiration. 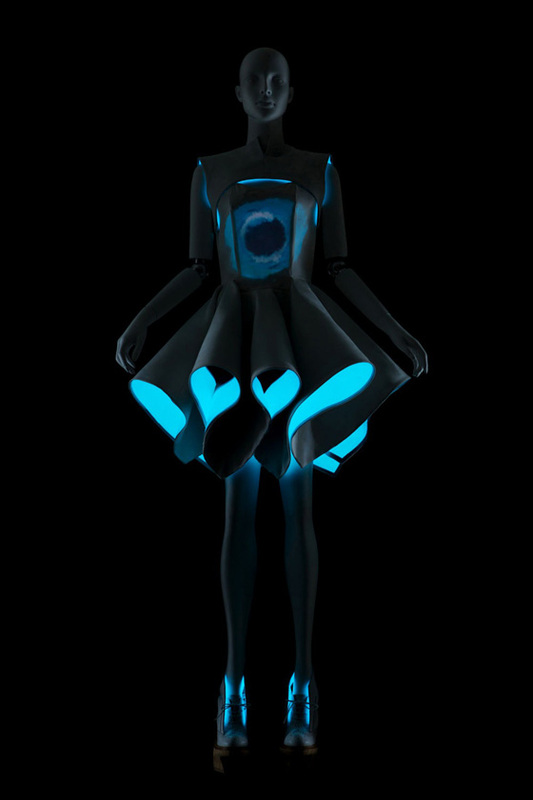 Beijing-based fashion designer Vega Zaishi Wang has, in the past, drawn inspiration from ocean bioluminescence, but in her latest collection entitled “Alpha Lyrae”, deep space was the motivation. Wang’s first name, “Vega”, refers to one of the brightest stars in our night sky, a heavenly body also referred to as Alpha Lyrae. The collection incorporates a technology known as electroluminescence (EL), a tip she learned from her electrical engineer parents. The collection incorporates captivating light in an unconventional way. The eight-dress collection of luminescent designs tells the story of the universe from beginning to end. 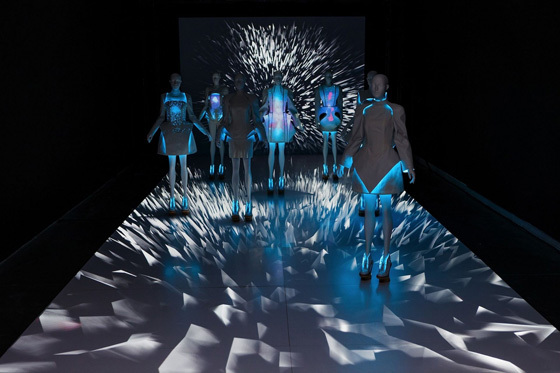 The dresses pulsate and radiate cosmic blue light, and when plugged into a laptop, stream custom spaced-out animations alluding to fashion and technology’s union and the hybrid medium’s beautiful, bright future. The electroluminescent fabric (EL) is more commonly used in car dashboards and signage displays as an alternative to LED.